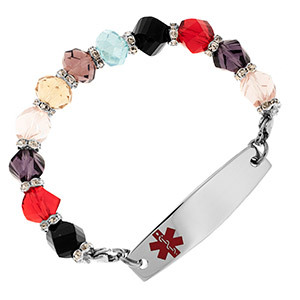 This crystal beaded medical id bracelet is loaded with color. Red, purple, pink, red, blue, yellow, white and black. Best yet, it stretches for easy on and off.